Nigeria’s electricity mix still ranks as most imbalanced amongst the MINTs. The electricity supply situation in Nigeria has evolved considerably in the last decade, so much that an observer has aptly named it the ‘decade of power’.By 2002, the incessant power shortages, inefficiencies of a government monopoly, a rapidly growing economy and a dearth of investments in the sector had brought the electricity supply industry to its knees. Infact, from 1990 – 2001(a whole decade), not a single mega watt of generating capacity was added to the electricity grid while the available capacity dwindled rapidly. However, after a return to democracy, a splurge of investments bygovernment and a comprehensive reform programme was established, installed generation capacity1has been scaled up from about6000 MW (4 Gas Fuelled & 3 Hydro Powered)2in year 2002to about 13,700MW(25 Gas Fuelled & 3 Hydro Powered) in 2013 – a very significant growth in gas fired generating capacity. Given the circumstances as at then, government’s focus on developing gas fired generation capacity was a no-brainer. An average gas plant can be constructed and commissioned relatively quickly – within three (3) years, construction costs compared to other fuel sources are quite competitive, gas flaring would be considerably reduced and the long term availability of gas were guaranteed. But these advantages have now created a different challenge for the country. We have built an electricity mix that is mono-fuel dependent and a fragile energy infrastructure system which Nigeria considering its security and political peculiarities cannot afford. Hardly would any day pass since the conclusion of the Phase I privatization without the problem of gas supply being recanted by government and its agents. There seems to be a real challenge with getting the power plants around the country to run due to gas supply issues. About 20% of gas fired generating capacity is ‘left on the table’ due to gas availability. Gas pipelines and infrastructure are being continually sabotaged.Several power plants are down because of gas supply constraints and other technical faults.There are uncertainties and increasing regulation around gas prices. The whole eastern part of the country gets a dismal 300MW of electricity because of gas supply constraints. The consequence of all of these is a significant drop in power supply far worse than the PHCN days. By now in other climes, a ‘state of emergency’ would have been declared on the issue of gas supply security because it has morphed into a serious danger to the nation’s economy. Moreover, it would be naïve to ignore the core underlying challenges which include the lack of a robust energy policy, an unreliable/inflexible gas infrastructure (pipelines, underground gas storage) and a disproportionate dependence on gas for electricity generation. 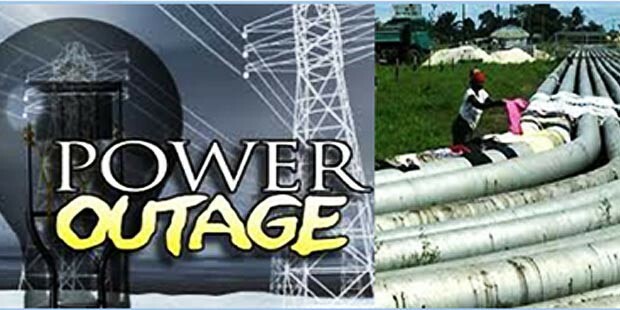 Infact,if the major arterial gas pipeline, the Escravos – Lagos Pipeline is sabotaged today, at least seven (7) major power plants (mostly located in the high demand centers of the south west) with installed capacity of about 3500MW would be knocked out of the grid completely. Nigeria’s electricity supplyis too exposed to gas. ELECTRICITY MIX: NIGERIA AND OTHERS. The challenge of finding a balanced energy mix is universal and very germane for every country’s economic prosperity. Various governments try to enact laws and establish policies around the natural resources available, the variety of energy needs and the economic, social, environmental and geopolitical situation. The overarching aim is to achieve a useful balance and control over energy security and also limit exposure to a mono-fuel and its attendant risks. Most developed/emerging countries have succeeded and continue to evolve and Nigeria must follow suit. The current narrow focus on gas fired generation even with the abundance of natural gas must be carefully balanced. It’s noteworthy that other nations with bigger gas resources than Nigeria have pursued a balanced electricity mix. The chart below shows the current electricity mix of Nigeria and other very populous member nations of the Gas Exporting Countries Forum (GECF), the ‘OPEC’ of gas exporters. Note that Russia is the most developed of the quartet and also has the biggest gas reserves in the world but it has the most balanced electricity mix – gas, hydro, coal and nuclear contributing adequately. Iran, also arguably the more developed of the remaining trio has managed to achieve a better balance of its electricity but Egypt just like Nigeria has a disproportionate dependence on gas for its power supply. Egypt is suffering badly from this imbalance.Power cuts and rationing is now the order of the day due to gas supply/production constraints just like Nigeria. The government has resorted to draconian diversions of gas meant for export by International Oil Companies (IOCs)3.Qatar, a smaller country and ally is sending ‘LNG bailouts’ to Egypt4. It’s a crisis. Infact, the government of Mohamed Morsilost the people’s confidence and was easily overthrown by the military because of the acute power shortages that hit the nation especially during the hot summer months5.If Egypt had managed to diversify its electricity base earlier, the impact of gas shortages would have been minimized. The lessons for Nigeria is, no matter how abundant your resources are; don’t depend on it solely for your electricity. Establishing a balanced energy mix is a matter of national security. Let’s take a further look at our economic ‘peers’, the MINT countries’ (Mexico, Indonesia, Nigeria & Turkey) energy mix. Source: Wikipedia – List of Power plants. Nigeria’s electricity mix still ranks as most imbalanced amongst the MINTs, underscoring the humongous work ahead for the nation’s energy policy makers. It is very critical. Many other developed nations have very susceptible electricity generation mix but the protection the energy sources get from government is usually enormous. France is a good example as the country is just one nuclear accident away from possible electricity emergency. The country has about 60 nuclear power plantsgenerating about 80% of its electricity needs. Protecting the nuclear industry means that France will continue to invest and risk lives in Uranium rich countries like Niger and fight wars to protect its supply lines (Mali).Little wonder some government officials are campaigning vigorously for ‘clean fracking’6 despite adverse public opinion. South Africa also generates about 95% of its power through coal. But there is a possibility that baring very extensive investments in infrastructure, the cheap coal resources left would only be enough for just about half a decade7. In reaction, government is planning to amend the country’s mineral and petroleum law to constrain the export of certain ‘strategic’ resources’ like coal. Truly, many are the challenges of a mono-fuel dependent country. If diversification of the electricity mix is imperative and essential for economic growth and prosperity, then what are the options? Hydro power currently supplies about 16%8of worldwide electricity needs and is the most popular of all ‘renewable’ energy sources. Hydro power is well understood, is clean energy, has longer economic lives and less susceptible to sabotage. Nigeria used to be keen on hydro power and was a key element in the old days of ‘National Plans’ but over time we seem to have abandoned this very important resource. It is time to return. By world standards, the existing hydro power stations in Nigeria are just medium sized. The total installed capacity of all the three operational hydro stations (Kainji, Jebba & Shiroro) is less than 2,000MW (with far less available capacity) while the biggest dam in the world, the Three Gorges dam located in China is 22,500 MW. Its high time Nigeria re-energized its hydro power strategy to deliver on the much needed megawatts and also diversify the electricity mix. The Zungeru & Mambilla hydro power stations are huge projects that have been in the pipeline for almost three (3) decades. Infact, both projects were an integral part of the 1982-2002 national plan. The world has changed a lot since then but these projects have now become more critical than ever. Funding models and environmental expectations could have changed over the years but China with over 2,000 dams is still very much in the business.To ramp up hydro capacity, urgent and decisive measures must be taken to remove the usual policy, commercial and technical encumbrances that frustrate projects in Nigeria. It won’t be out of place if we generate about 25 – 30% of our electricity from hydro in the near future. There are 2300 coal fired power plants worldwide. About 600 are in the US, 620 in China. – World Coal Association. In 1973, about 38% of worldwide electricity was generated from coal but it has increased to 41% in 2011 – International Energy Agency. South Africa, the biggest economy in Africa generates about 95% of its power from coal. It’s inconceivable that Nigeria would ever fulfill its economic potentials without adopting coal as part of its electricity generation mix. The only coal fired power plant in Nigeria today is a derelict 10MW power plant in Oji River, Enugu State. Coal has a ‘brand deficit’ and is usually discouraged by the many supranationals and aid agencies that swarm the developing world but it is still one of the most important energy resources in the world. It is cheap, abundant and very reliable for base load electricity. Without much delay, Nigeria urgently needs to establish a sound commercial and environmental framework to support the growth of coal energy.I am aware that NERC has licensed some coal power plants but the body language of the commission’s CEO in recent times does not imply that coal will be taken seriously. To address the environmental issues, it’s important to note that we have a ‘late mover’ advantage because building our coal plants in this generation gives us the opportunity to accept only cleaner and more environmentally friendly coal plants. Its also noteworthy that at the peak of indiscriminate gas flaring in year early 2000s, we were not even among the top 40 countries emitting CO2 in the world. Nigeria emits less carbon per capita than countries like Germany, Pakistan, Venezuela, Canada, France, even the United States. Infact, the UK (Population –63 Million) emits CO2 six (6) times ofNigeria. If Nigeria targets a 10 – 15% range for coal power, it definitely would hardly increase our carbon footprints. The inclusion in the 2014 budget proposal of a proposed feasibility studies in various parts of Nigeria is thus a welcome development.Coal resources are abundant in Nigeria, construction of a typical plant can be done in reasonable time and the operating costs are relatively cheap. What are waiting for? There is no universal standard for a country’s electricity mix but diversification and balance considering the availability and cost of energy resources is key.Proper planning and the awareness that achieving the most appropriate electricity mix takes time is key for Nigeria’s energy policy makers. Furthermore, the commercial, legal and technical framework must be continually attuned to stimulate and sustain investment in diverse energy resources. Without such, our hopes of becoming a great and prosperous nation might never be realized. 1This article will focus on installed capacity because of data reliability. Data for available capacity is too dynamic and unreliable. 2 Source: Presidential Task Force Presentation at Investors Forum, Wikipedia. Undoubtedly a well-researched and nuanced piece from a brilliant mind. The important thing about this article is that there are no castigations, no blame-laying or vituperations commonplace today in most discourses about the Nigerian situation. Simply facts, figures and solutions that our leaders will do very well to pay heed to. Well done Damola.